In an increasingly urbanized world, cities have become platforms for innovation and change, particularly in developing countries. In Latin America and the Caribbean, emerging cities have taken center stage. While megacities face great challenges to distribute goods and services to large populations, intermediate cities provide a more sustainable alternative. Planning for their growth is one of the goals of the Emerging and Sustainable Cities (ESC) program at the Inter-American Development Bank (IDB), which has supported more than 80 intermediate urban areas throughout the region. 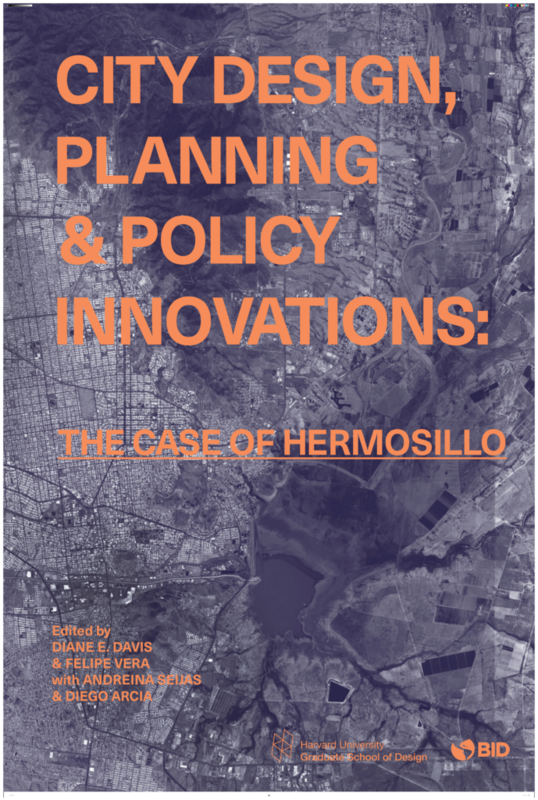 These are excerpts from a recent post by Harvard University’s Mexican Cities Initiative on “City Design, Planning and Policy Innovations: The Case of Hermosillo,” an upcoming publication by the IDB and Harvard edited by Diane E. Davis, Felipe Vera, Diego Arcia and Andreina Seijas . Thanks to the support of more than 40 experts, the book presents a relevant collection of public policy recommendations, programs and projects with the potential of transforming the future of this emerging city.